I found this great game at Goodwill this week. It’s called Red Light, Green Light. I got it for a buck and it even had all it’s pieces! It’s made by Zwiggle, but as far as I can tell, it isn’t made anymore. I did the google search with no avail. The game is played sort of like spoons. You put little cars in the middle of the game. Most of the light cards are yellow and green with just a few red mixed in. Students flip cards over quickly each taking turns. When a red card is flipped, they grab for the cars in the middle of the game. The student left without a car has to pick up the stop sign. Once you get three stop signs, you’re out! 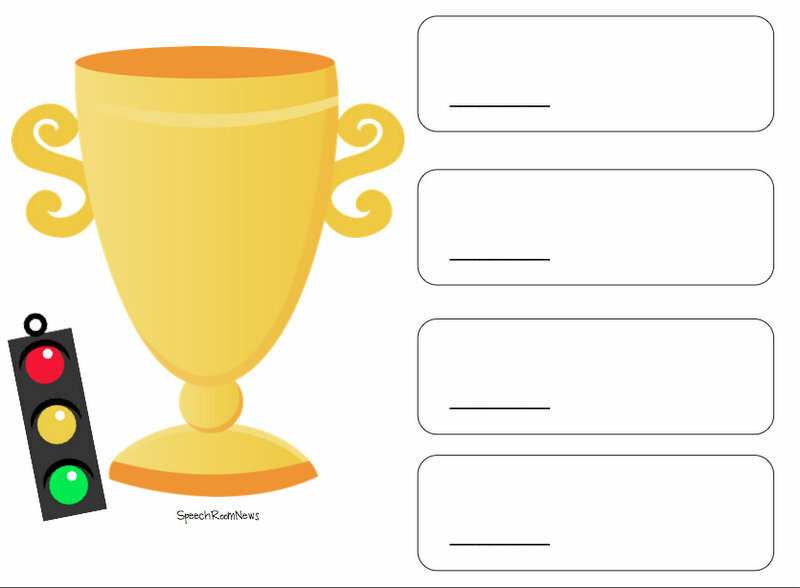 Although I can use this as a quick and easy reinforcer I decided to make my own version with some goals a lot of my kids are working on! 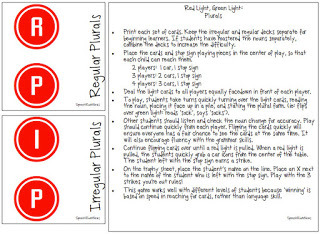 I’m starting with Red Light, Green Light: Plurals I printed black x’s on the back of my pictures because I was out of card stock. You really can’t have the kids seeing through the paper on these! 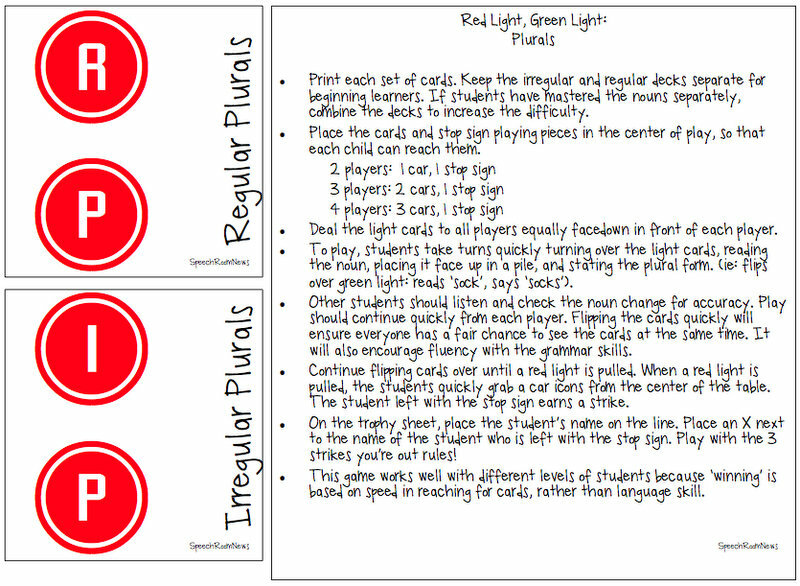 Red Light, Green Light: Plurals Print each set of cards. Keep the irregular and regular decks separate for beginning learners. If students have mastered the sets separately, combine the decks to increase the difficulty. 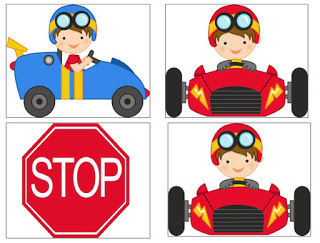 Place the cards and stop sign playing pieces in the center of play, so that each child can reach them. 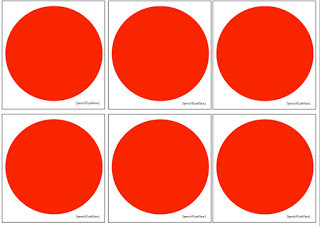 2 players: 1 car, 1 stop sign 3 players: 2 cars, 1 stop sign 4 players: 3 cars, 1 stop sign Deal the light cards to all players equally facedown in front of each player. To play, students take turns quickly turning over the light cards, reading the verb, placing it face up in a pile, and stating the plural form. (ie: flips over green light: reads ‘mouse’, says ‘mice’). Other students should listen and check the verb change for accuracy. Play should continue quickly from each player. Flipping the cards quickly will ensure everyone has a fair chance to see the cards at the same time. It will also encourage fluency with the skills. Continue flipping cards over until a red light is pulled. 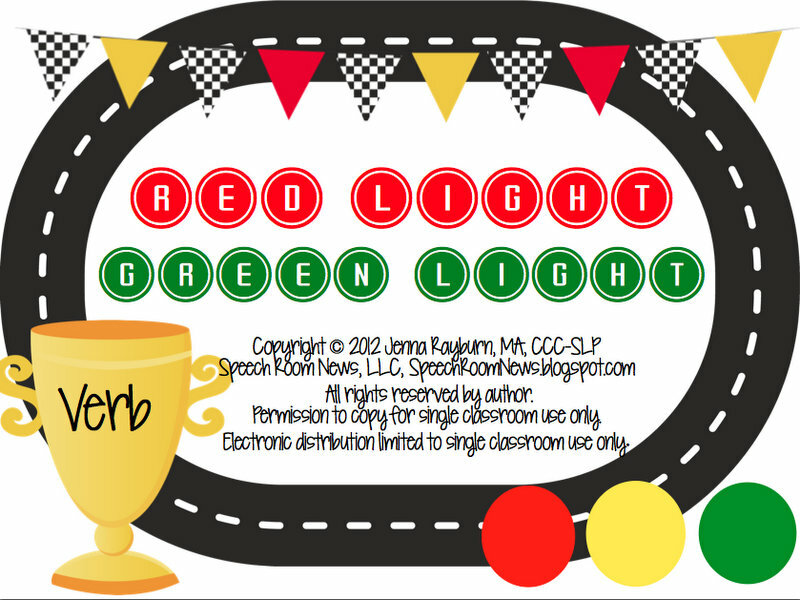 When a red light is pulled, the students quickly grab a car icons from the center of the table. The student left with the stop sign earns a strike. On the trophy sheet, place the student’s name on the line. Place an X next to the name of the student who is left with the stop sign. Play with the 3 strikes you’re out rules! This game works well with different levels of students because ‘winning’ is based on speed in reaching for cards, rather than language skill. Cover sheets for packets. Score cards. Cards to grab for when you see the RED light! Game cards. 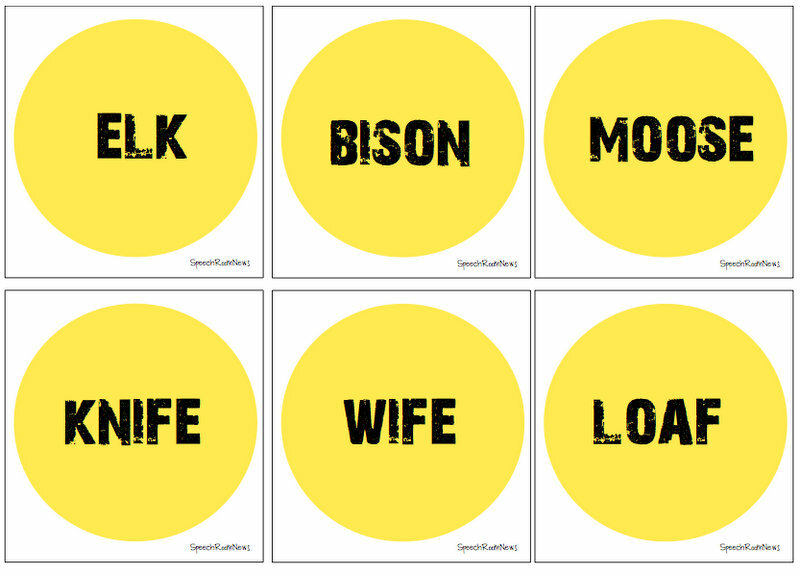 I also made regular and irregular verb sets. 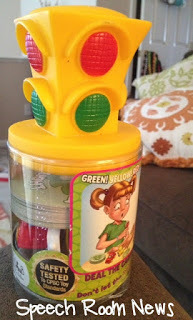 Find the Verb Red Light, Green Light game on TPT. 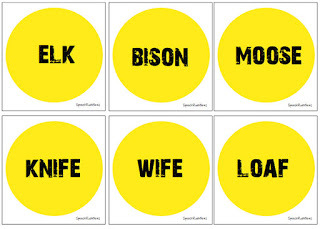 Plurals can be found here! Updates: 12/14/13. Based on your requests, I’ve added the first articulation version to TPT. 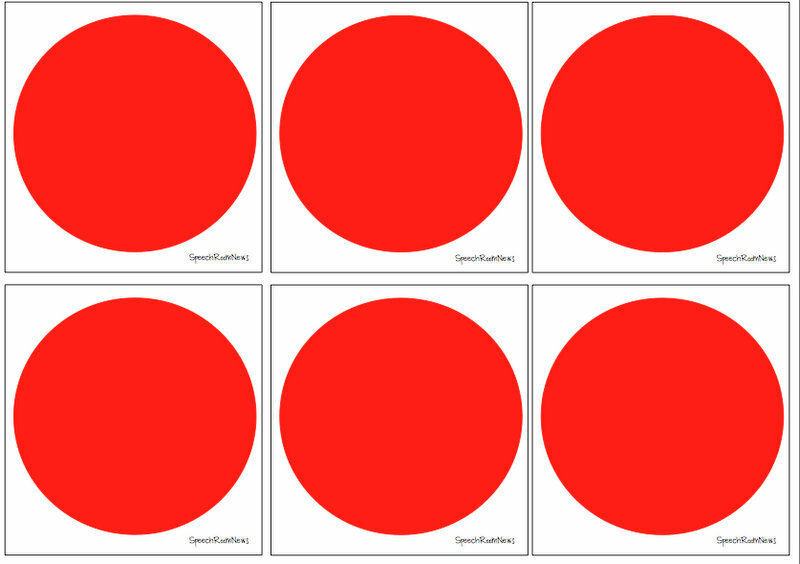 It includes /s/, s blends, /l/ and l blends in all positions with pictures and words. Let me know what you think! Jenna, this looks like so much fun! 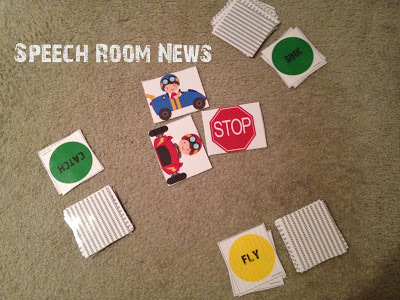 It’s too bad they seem to stop making all these great games that can be adapted for speech therapy! I’ll have to be on the lookout for one of these! this looks like so much fun. definitely going on my wish list. Looks like a great way to make irregular plurals work fun! Oh fun! THe kiddos will love this! Thanks Jenna! This looks great. I have lots of students I think would really enjoy this activity! Thanks for sharing your creativity! This looks like such a fun and useful game for therapy sessions. I am always wondering how to implement fun games into therapy for reinforcement, but this is not only reinforcement, it’s practice! Love the idea. I love this idea! My kids would love this activity, the fast pace, taking the cars and see who gets the stop sign all while working on their goals! Great packet; and very creative! This is such a great idea! So creative and engaging for my artic kiddos! I love new and exciting ways to work on sound production! This looks like a lot of fun! I love making artic therapy more fun for my kids! thanks for the recent giveaways! love this post!! Very creative and I will be searching at second-hand stores and yard sales. Thank you for sharing all of your ideas and enthusiasm. Great motivator for boys and girls alike. So cute. Time to check Goodwill again. This looks so fun – I will have to keep my eye open for the game at garage sales this summer! I think the flow of this game will be good. I know my family loves to play spoons, so I am sure my students will like it as well. I love this game idea! I would also love to have this game in artic too. My kids like to get competitive, so this would be great! This looks great. Another creative way to get speech productions and language practice. I know the kids would love it! Keep up the creativity! This looks like a great and fun game. I will be on the lookout for this game at my local thrift stores. Thanks for sharing. You are so creative! My little guys would love this! Great game! Thanks for sharing. Hopefully this game will show up at a thrift store around me. What a great way to keep students motivated! Love having a new way to work on a variety of skills! Love that you added an artic version!! What a cute activity! I think the plurals would be especially helpful and I like that the kids have to spontaneously name the plurals. I also know my kids would love the competitive aspect! Thia ia a great game/idea.. love the concept and I bet the kiddos will too!! Awesome!